Ring our office on 07 5527 9700 between 8.30am and 5.00pm Monday to Friday, to arrange a free inspection, so we can give you a fixed price for your removal and storage needs. As no two moves are ever the same, we recommend you take us up on the offer of having a complimentary and obligation-free inspection completed by one of our qualified removal and storage estimators. 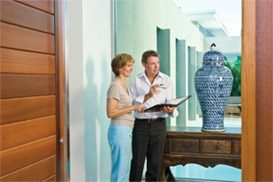 Inspections are designed to give us the precise details of your relocation, so we can expertly piece together a removal plan that caters for all of your moving needs. Alternatively, for small jobs, we can give you an estimate of our charges if you complete the form below. To enable us to be able to give you a quotation and to also help reduce your removal stress, please complete all of the headings below that are marked with an asterisk * and then click ‘Send Enquiry’.